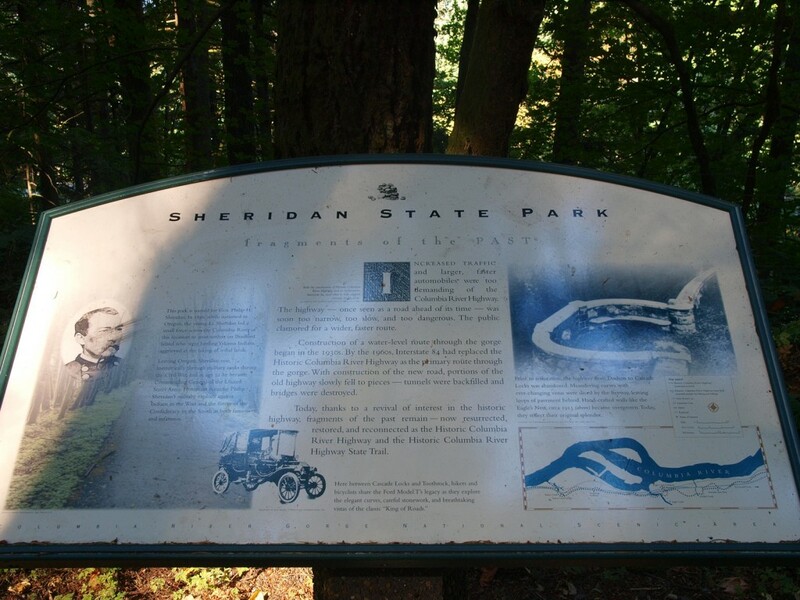 Among the many locations lost to time in the Columbia Gorge is Sheridan State Park. At one time this was a wayside along the Columbia River Highway, but was made inaccessible by the building of I-84 in 1960. Luckily the Historic Columbia River Highway State Trail allows us to once again visit this gorgeous location. It’s located roughly half way between Eagle Creek Overlook, and Cascade Locks. The park was named after Civil War General Philip H. Sheridan who, as a Lieutenant, was stationed in Oregon at Fort Yamhill. He played a leading role in the 1856 Cascades Massacre, which took place across the Columbia River, and this park was one of many local features named after him.